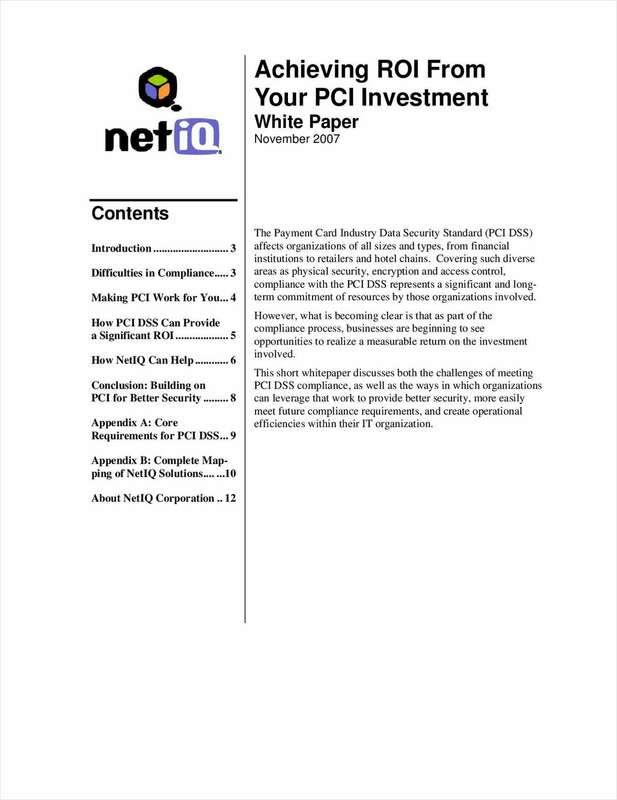 "Achieving ROI from Your PCI Investment"
Free White Paper: "Achieving ROI from Your PCI Investment"
Organizations invest considerable financial and technical resources obtaining PCI DSS Compliance. Why not leverage that investment for your future security needs? By submitting this content request, I have legitimate interest in the content and agree that NetIQ Corporation, their partners, and the creators of any other content I have selected may contact me regarding news, products, and services that may be of interest to me.